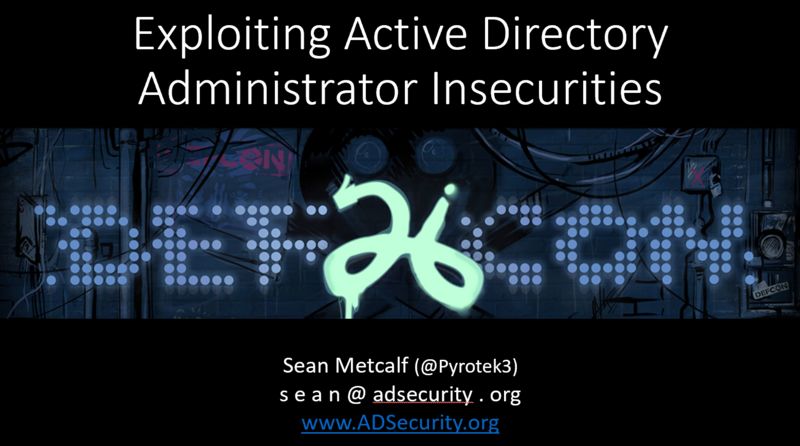 I just uploaded the slides from my Black Hat & DEF CON talks from the past week in Vegas. They are a bit different with the BH talk more Blue (defensive) and the DC talk mostly Red (Offensive) in focus. Also note that the only real overlap in content is the MFA & password vault sections and those were updated in my DEF CON talk to focus on the attack aspect. An important note: The methods I show are real and work well in many real-world customer deployments. The issues with MFA and password vaults I highlight are often deployment issues and not necessarily vendor best practices. With that noted, I have seen enterprise password vaults deployed with poor security so often that I don’t think customers are very familiar with the vendor security best practices. Slides are in the Presentations section. 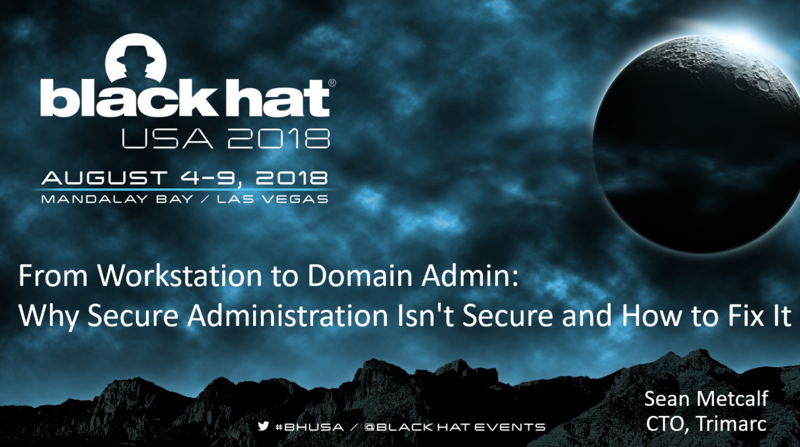 This talk walks the audience through how AD administration has evolved over time with newer, more “secure” methods and the potential ways to exploit modern AD administration. I explore some methods to exploit current implementation weaknesses in many deployments of multi-factor authentication (MFA) and enterprise password vaults. The latter third of the talk dives into the best defenses and how to employ and deploy them appropriately. Thank you all for your support and your kind words!